Muscle system of the man. Complete figure from the front on a white background. 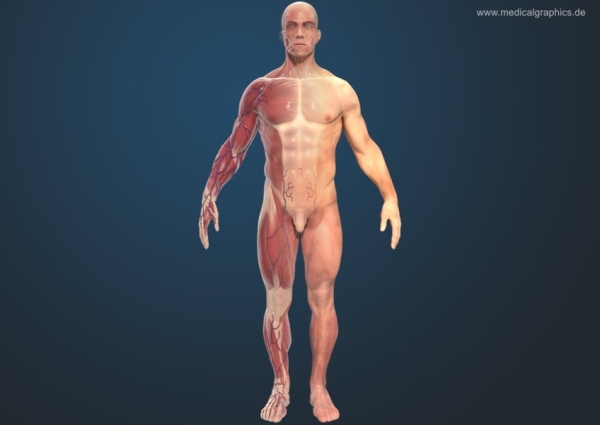 Transition from skin to muscles.